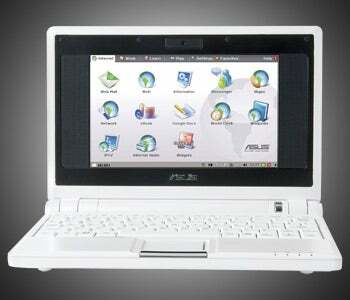 Mark Spoonauer scoops the Asus Eee PC review, leading off with the observation that you can get a comparable budget laptop for the same $399 price for the high-end Eee model. The key to it earning 4/5 stars and a place in Spoony's heart is its low-overhead, simple UI Linux OS: "It's ten times simpler to use than any Windows machine, starts up twice as fast (no crapware! ), and is only about the fifth of the cost of other systems in its weight class."